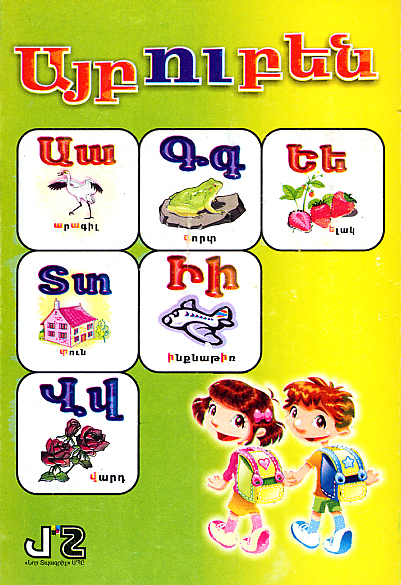 39 flashcards presenting each of the Armenian letters. Each card presents a letter, in upper and lower-case, an image, and the name of the image in Eastern Armenian. It also includes two lines to practice writing the letters.